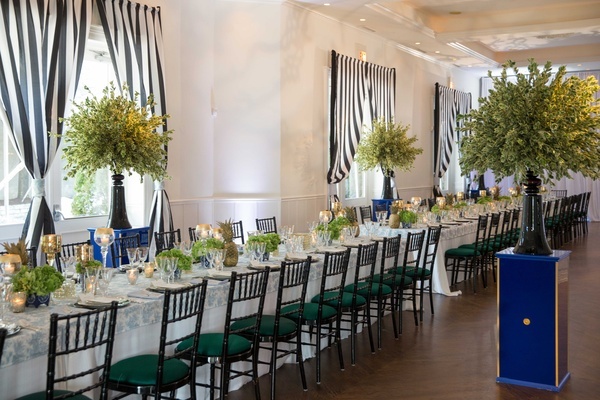 For the photo shoot aspect of the day, the creative team needed to select a focal point that would draw in all of the captivating elements of the décor. 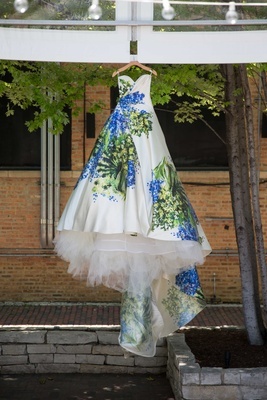 “For over a year, I have been absolutely obsessing over a [certain wedding] dress,” reveals Michelle. 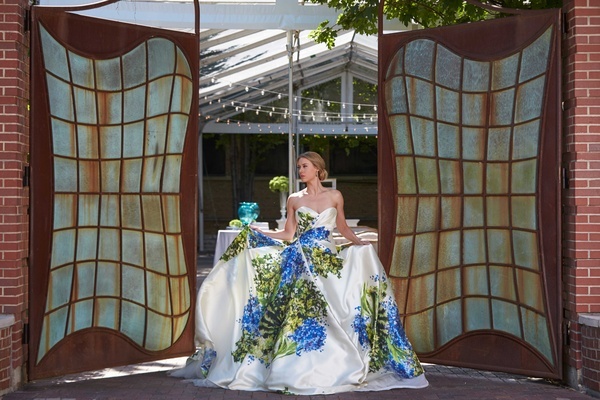 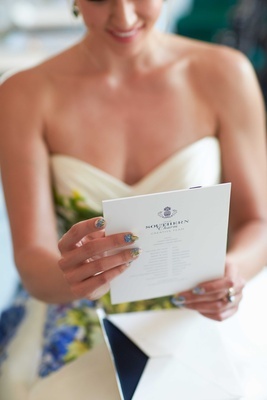 “[It’s] a gorgeous ball gown [by Romona Keveža] with handpainted hydrangea in shades of blue and pops of green.” With the addition of the dramatic frock, which was provided by Dimitra’s Bridal Couture, the day seemed to be coming to life piece by piece. 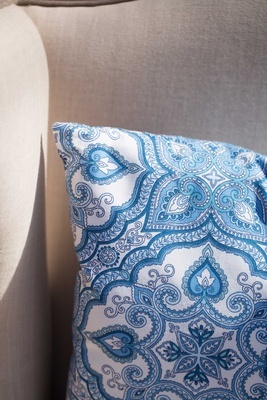 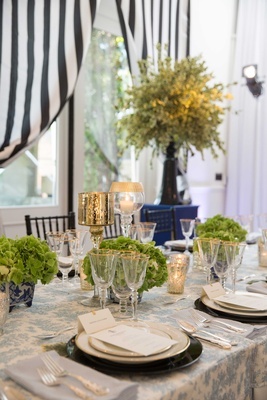 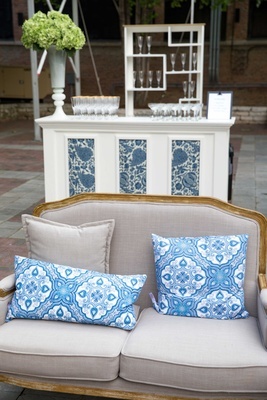 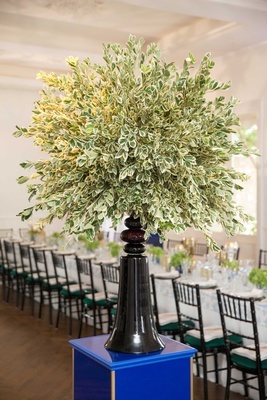 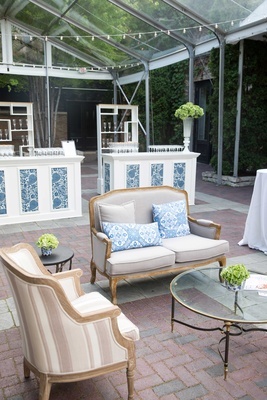 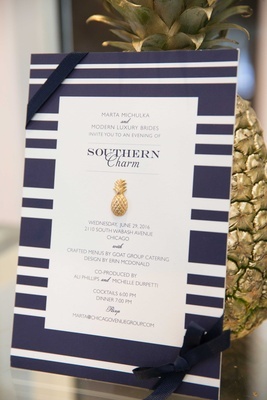 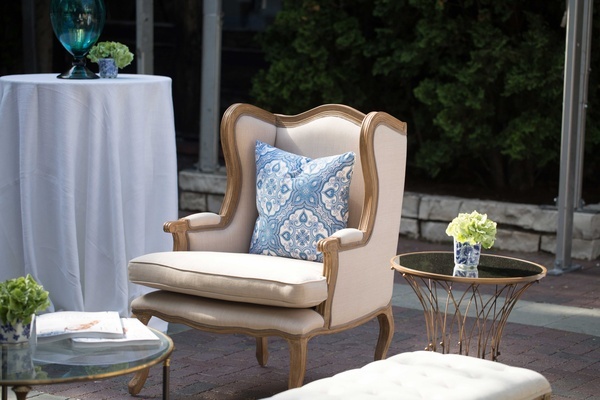 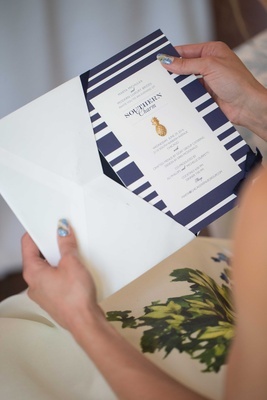 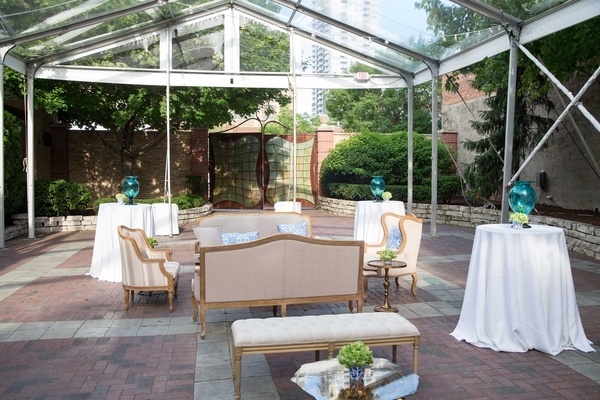 Upon exploring their options for furniture, the creative team picked out elegant, neutral-colored pieces to emphasis the Southern summer vibe, as well as vibrant pillow accents in blue and white. 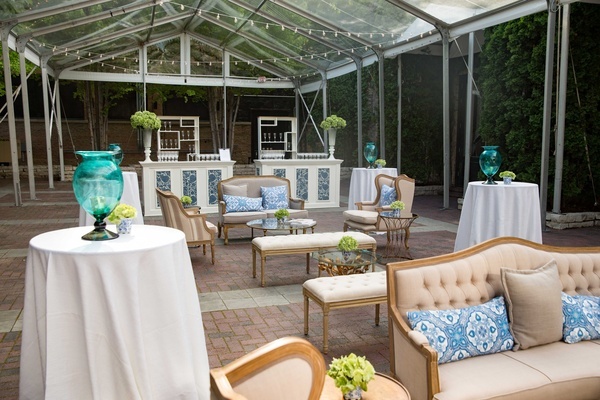 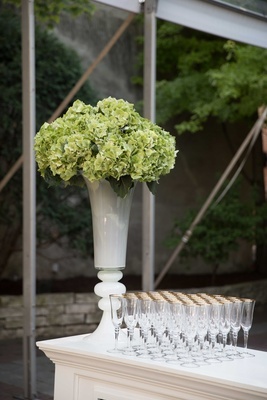 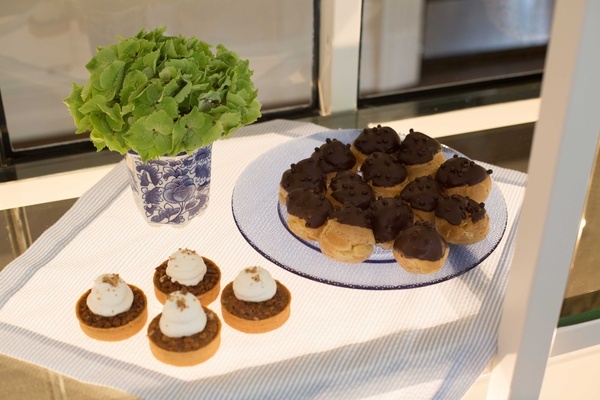 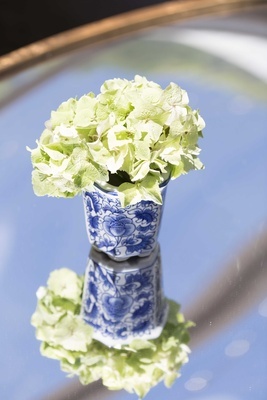 Guests could see similar patterns – one, a traditional floral and the other resembling that of a delicate doily – throughout the décor: panels on the alfresco bar area, throw pillows resting on chic sofas and chairs, miniature china vases holding hydrangea arrangements, and even the table linen spanning the length of the long dining table. 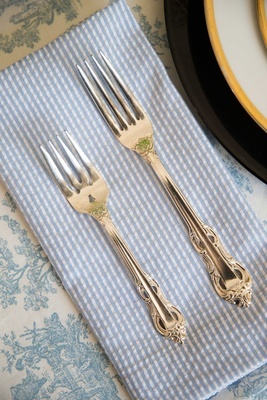 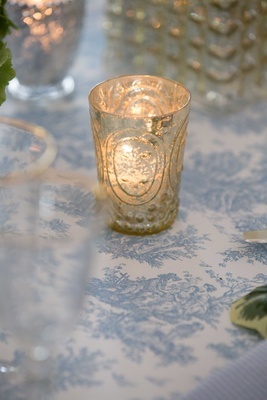 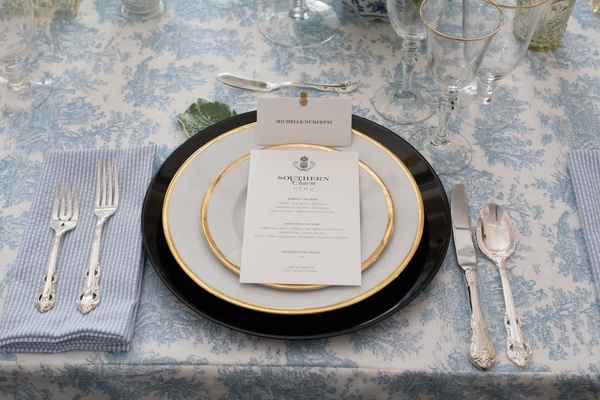 Sitting atop this same table were place settings made up of gilt-rimmed charger plates and glasses, as well as beautiful silverware evoking a vintage feel. 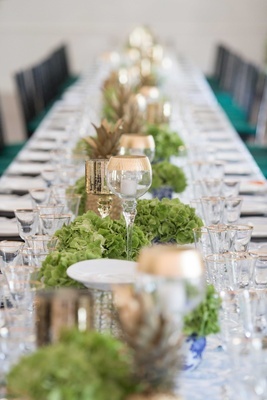 The same golden pineapples could be seen adjacent to miniature votive candles, adding an extra pop of metallic to the space. 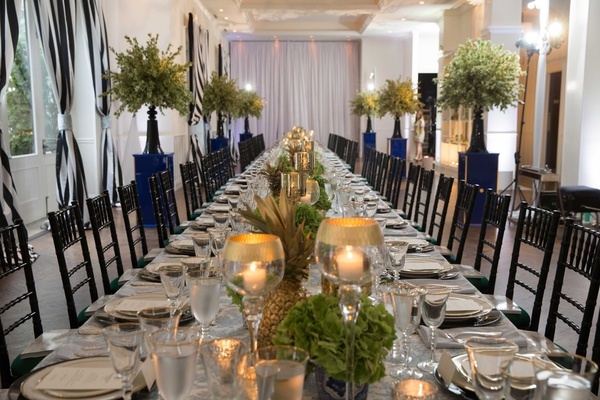 Michelle credits the power of collaboration with the success of this lovely event. 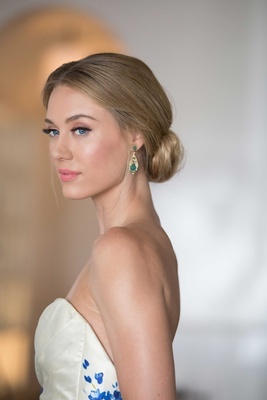 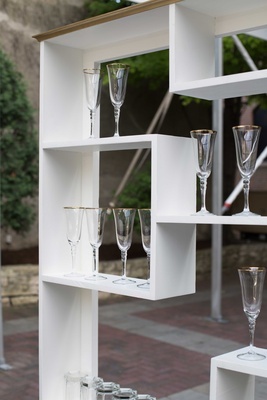 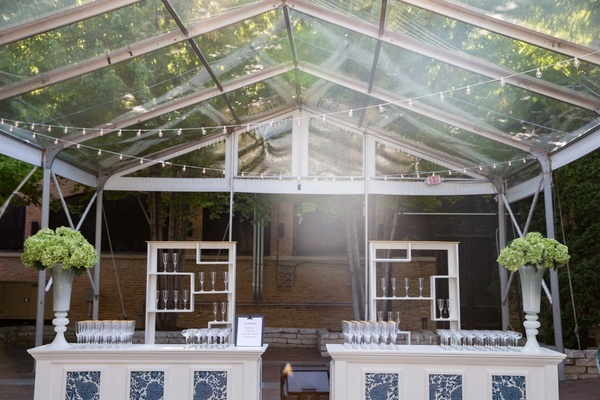 “The great thing about being a wedding vendor in Chicago is the absolute symphony of beautiful bridal inspiration that happens when so many talented individuals come together,” she muses. 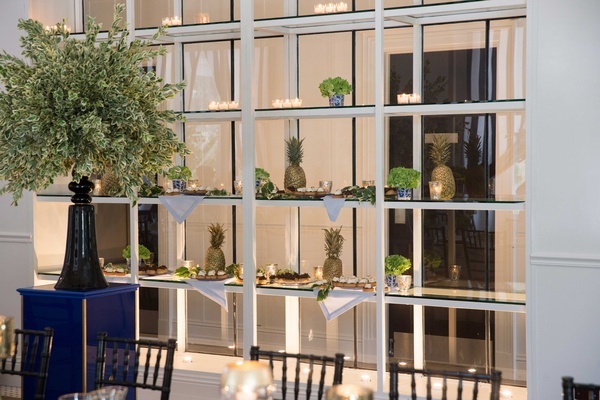 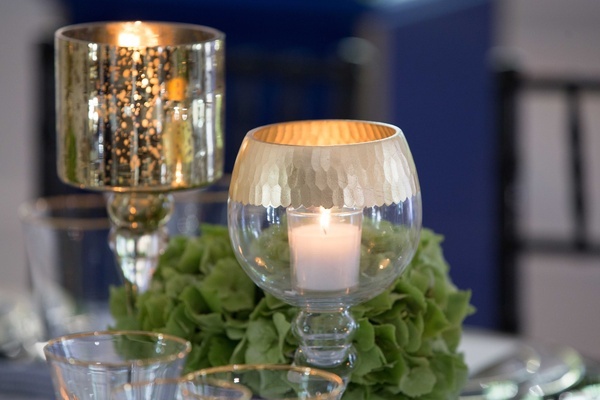 With the planning behind her, Michelle, her team, and a gathering of the city’s wedding professionals enjoyed a sophisticated Southern evening in the Midwest!